The National Highway Traffic Safety Administration (NHTSA) made a promising announcement on Oct. 3 that indicates road safety is becoming more of a priority for U.S. drivers. Road fatalities in 2017 dropped 1.8% from 2016, which is a huge feat, NHTSA stated, as historically a strong economy and employment rate have correlated with an increase in traffic deaths. The announcement comes amid Drive Safely Work Week, a week-long workplace road safety campaign sponsored by the Network of Employers for Traffic Safety (NETS). 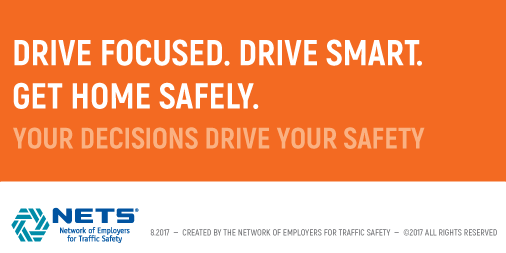 NETS is a group of employer road safety professionals who want to make the roads safer for employees, their families, and members of the communities in which they live and work. This year, NETS is asking employers and drivers to “dial in to the task at hand—driving.” In 2015, NETS noted, nearly 3,500 people died in crashes involved distracted drivers, 14% of which reportedly involved cell phone use. Motor vehicle crashes are the leading cause of work-related death in the United States, according to the Centers for Disease Control and Prevention (CDC). Risk of work-related motor vehicle crashes cuts across all industries and occupations: Workers who drive on the job may be “professional” drivers whose primary job is to transport freight or passengers. Many other workers spend a substantial part of the work day driving a vehicle owned or leased by their employer, or a personal vehicle. Now, more than ever, the need to keep attention focused on the road, and away from cell phones, is vital. Avoid temptation. Stow your phone in your purse, glove compartment, or center console to keep it out of sight and out of mind. Vary your route. When possible, take a different route to work to routine trips like commuting to and from work don’t become mundane. Keep your eyes moving. Make a full mirror sweet with your eyes every 5 seconds or so to stay alert and present as a driver. Keep a safe following distance. Allow the length of one car, per every 10 miles per hour of speed that you’re traveling, between you and the car in front of you. This will increase your visibility and give you more time to react, should something surprising happen. Clear your mind. You cannot focus on driving if your mind is on work, a family fight, or your to-do list. Take a moment before your journey to take a deep breath, place both hands firmly on the wheel, and commit to staying present as a driver for your entire drive. Have a plan. Don’t wait until you are driving to plan and become familiar with your route. Use navigation devices with voice directions and set them prior to pulling out. Help others help themselves. 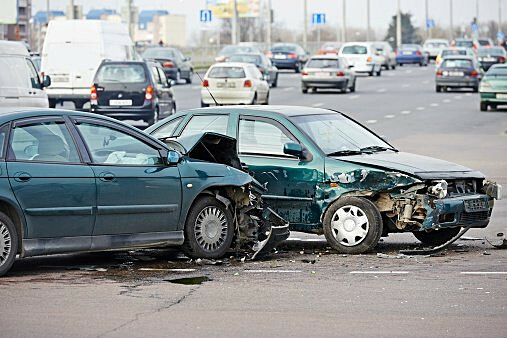 Make it a practice when you call someone’s cell phone to ask if they are driving. If the answer is “yes,” take it upon yourself to call back later or ask them to return your call when they’ve reached their destination. And never text someone you know to be driving.